The market of electric mobility is emerging fast. The current market is a few years young and only occupies the very small amount of 0.2% of the total expected size. This means that the market is still in its infancy. All players are developing software systems with comparable functionalities on their own. This development process is very costly and time consuming. All parties putting individual effort and resources in (soon to be) commodity software products causes a reduced amount of investments in value added functionalities. Motown has been developed in order to break the cycle of unnecessary investments and accelerate the market growth by developing functionalities that are valuable for all market players together. Motown is an open source software initiative under the Apache 2.0 license. 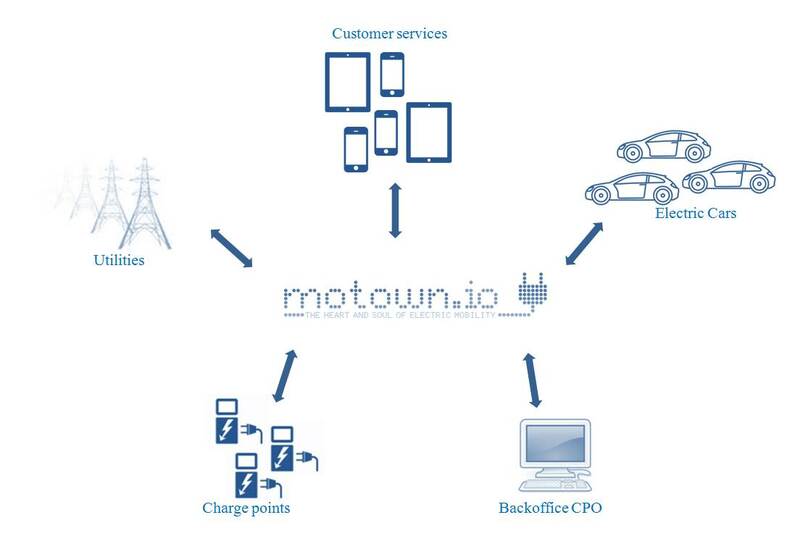 The Motown core is developed to be a fast communicator central in the functionalities of all market parties in order to facilitate the needs of the EV end-users. A custom-made fit into a proprietary back-office system will be history when a wide-spread use of Motown is realized. Motown is an Apache 2.0 licensed project. Motown is an open source software community with the goal to develop software solutions for the electrical vehicle market. The Motown Foundation is the governed part of Motown. Learn more about the Motown community and join! What are the current challenged in the EV-market, why is this the right moment for the EV-market to have an initiative such as Motown and why is it published as an open source? Read more about these topics by clicking on the icon. Motown offers a core component that allows so called add-ons to communicate with it using commands and events. The hexagonal architecture that is used in the design of Motown prescribes developing the core of your application without a dependency on your User Interface (UI), database, or other inputs and outputs.